Suriya, who is always known for his unique script selection and acting talent, has another variety script on his hand. Suriya’s upcoming movie “24” directed by Yaavarum Nalam fame Vikram Kumar has started their busy-long second schedule in Mumbai. 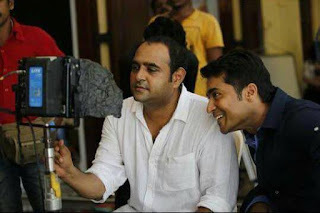 The film starring Suriya and Samantha in lead role and other casts are not known. The film is expected to be a sci-fi thriller. Here are some of the rumours about the film; they are not officially confirmed yet. 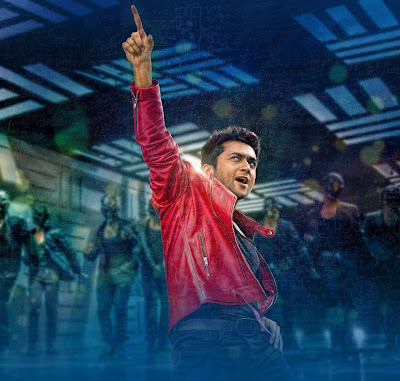 Suriya playing a triple role. Yes, after the astonishing performance of Surya’s double role in Masss, he is doing a triple role, which is expected to be Grandfather, Father and son. Samantha will be playing an important role in this film, and it is her second film with Suriya after Anjaan. She is really excited with the role in 24 and she had expressed it in her official twitter account. As you know, the Music for the film 24 will be from the Oscar winner AR Rahman. And a song is already completed and expected to be a great treat for the ears. The latest news about 24 is that the film will have a strong social message to the viewers. So, these are the latest news about the upcoming film of Suriya in 24. The cre members are keeping everything secret and hope it will be a blockbuster hit with unique theme.